Thank you Penelope for taking the time to answer a few questions on being an author and on your new book. I met Penelope at a book signing at Borders books a few weeks ago. A delightfully friendly person who was kind enough to be willing to be on my blog. Not only is Penelope an author she is also an artist. Talk about a Renaissance Woman, Wow! 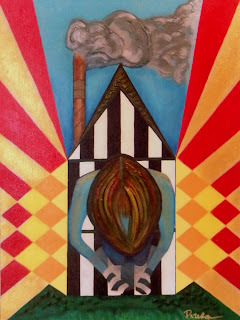 I have included links to her book, her site, her blog and her art below. It is well worth your time to check out this fascinating woman. 1.) Can you give a brief description of your published books? My first book, Six Sigma for Business Excellence was published by McGraw-Hill in 2005. It speaks to middle management about how they can incorporate the underlying principles of Six Sigma (a popular quality management philosophy and methodology) into their day to day. I'd been writing fiction for years when I had the opportunity to publish with McGraw-Hill. 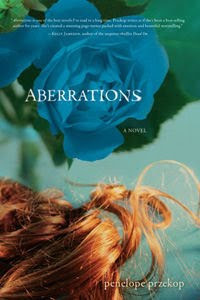 In 2008, my first novel, Aberrations, was published by Greenleaf Book Group. Aberrations is about a young narcoleptic woman whose life has been overshadowed by the mysterious death of her mother. The coming-of-age drama explores how a unique family mystery influences the lives of those left in its wake. Aberrations was a book blogger top 10 for 2008. 2.) Which one is you most recent book? Why did you write this book? What initiated this particular burst of creativity? Aberrations is my most recent published work. Aberrations was the perfect avenue to explore my own emotions and internal questions about love and parenting. It enabled me to consider my own history with having a mother who suffers from mental illness, my leap into parenthood as a young unwed mother in the Deep South, and the experience I've had related to adoption. 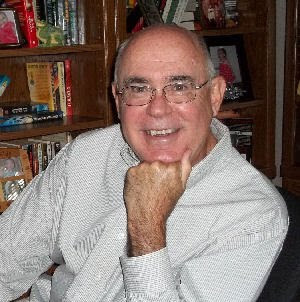 I began writing Aberrations shortly after my first literary agent passed away. I already had the story and characters in my head, and decided to write a second book rather than look for a new agent to represent my first novel. I was ready and excited about pouring all I'd learned writing the first novel into the second. 3.) Does your story line develop organically or is it a gestalt before you begin? I've become quite methodical over time with my writing. I establish all the characters, overall plot, major themes, etc. prior to typing the first line. I create a high level outline of the entire book, and then work my way through it. This allows room for ongoing creativity yet keeps me on a path. This worked extremely well for me as I wrote my last novel, and I plan to stick with this method. 4.) Do you have a favorite character in any of your books and if so why? This is a tough question because I love them all. With that said, I do have a soft spot for Angel, the protagonist in Aberrations, as well as Carla, her step-mother. I absolutely love Peyton, the protagonist of my first novel, Boundaries (yet to be published), because she is most like me at her age ... and so close to my heart. 5.) What do you like the most about writing? I love how writing seems to best reflect who I am. It seems that I can never quite express myself verbally in such a way to capture or nail down exactly who I am. When I write, it appears for me. I see it and it makes me feel understood and accounted for in a way that I'm not otherwise seen or found. Perhaps it seems odd, but literally seeing what was in my head transformed to paper gives me a bizarre satisfaction. I began painting a couple of years ago, and the same concept applies for me. Words are like the building blocks of music and art. Like art, they seem to be images I can use to create something unique. I like that. 6.) Where do your new story ideas come from? I've written three novels so far and my process has evolved. At this point, what interests me the most is tossing a bunch of seemingly unrelated topics together to create a unique plot. I then mold it together using creativity and the original goals for the work (themes, etc.). I have to write about topics that I have a deep interest in or a burning desire to learn about. Otherwise I'd get bored. 7.) What advice has helped the most in your writing? The advice that has stuck in my head for years, is to write about things that, at a deep level, are emotionally scary to you or that make you feel uncomfortable. The premise is that these may be the topics that actually have significant emotional meaning to you. Of course, there's all kinds of writing, but this hit home for me. It gave me a type of internal meter to find my topics. So far, I think it's worked. 8.) What is the favorite book you have written? This question is akin to asking which of my kids I love the most. I can't choose! I love them for different, equally powerful reasons. 9.) You have written fiction and non-fiction, which do you enjoy writing more and why? I absolutely enjoy fiction the most! Fiction is what I've always wanted to write; however, when I had the opportunity to do a book for McGraw-Hill, I was NOT going to turn it down. I did enjoy writing the book. I actually found it easier than writing fiction. I love writing my blog, Aberration Nation, which is all non-fiction. I've written a couple of non-fiction book proposals in the last year, so I'd like to continue on that path to a certain extent. But in the end, fiction is my first love! 10.) What advice would you give for the want to be writer? -- If it's who you are, never give up. Baby steps can take you a long way. -- If there's something you love to do more, do that. It's a difficult road to travel filled with rejection (but worth it if you fit in the category above). -- Study as much as you can about the craft of writing, and read, read, read! -- Build connections in the publishing industry and foster them over time. This is not only how you'll learn more, but perhaps how you'll ultimately get your words in print. -- Develop thick skin and a soft heart. Penelope's latest painting." Stuck Inside"